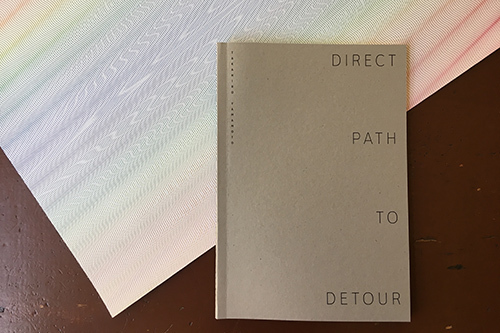 A second part of Direct Path to Detour project. Concurrent to the creation of the group dance work, Takahiro Yamamoto made a proposition to participating artists, some colleagues and presenters of this project to provide artwork representative of their current interests and/or engage in spoken or written discourse based on some of Yamamoto's writing. By compiling images of multiple artwork, short writings, transcriptions of conversations, and written exchanges, this book intends to engage with the reader intimately, soliciting contemplation and stimulation one page at a time.